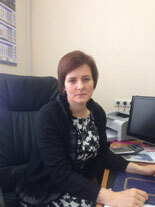 Prokopchuk Natalia Arkadiivna is Senior Lecturer of the Department of Road Construction and Maintenance. 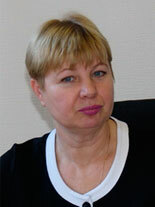 She is responsible for organizing and planning the educational process for students majoring in 6.060101 Construction, with professional direction of 192 Construction and Civil Engineering, and specializations in Highways and Airfields, Bridges and Transport Tunnels, Technologies of Building Structures, Products and Materials. 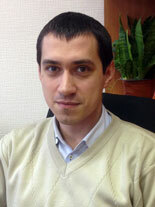 Tsybulsky Vitaliy Mykolayovych is Assistant Lecturer of the Department of Strength of Materials and Engineering Science. He is responsible for organizing and planning the educational process for students majoring in 6.080101 Geodesy, Cartography and Land Use, with professional direction of 193 Geodesy and Land Use, and specializations in Valuation of Land and Immovable Property; Geodesy; and in professional direction of 192 Construction and Civil Engineering, with specialization in Construction and Maintenance of Airfields. The Faculty of Transport Construction is coeval with the University: it was founded in 1944. Since its foundation professionals with specialties in Highways and Airfields and Bridges and Tunnels have been trained here. Department of Road Construction and Maintenance. The Head of the Department is Savenko Vyacheslav Yakovych, Doctor of Science in Engineering, Professor, Honored Worker of Science and Technology of Ukraine, Honorable Road Builder of Ukraine, Academician of the Transport Academy of Ukraine, Academician of the Construction Academy of Ukraine, Academician of the Transport Academy of Russia. He holds the Excellence in Education of Ukraine badge and For Scientific Achievements badge. Department of Road Design, Geodesy and Land Use. The Head of the Department is Pavliuk Dmytro Oleksandrovych, Doctor of Science in Engineering, Professor, Senior Fellow, Corresponding Member of the Transport Academy of Ukraine (TAU). He holds the Excellence in Education of Ukraine badge and the Inventor of the USSR badge. His key research interests cover maintenance characteristics of highways and airfields. Department of Bridges and Tunnels. The Head of the Department is Tkachuk Serhiy Hryhorovych, Doctor of Science in Engineering, Professor, Honored Road Builder of Ukraine. He holds the Excellence in Education of Ukraine badge. Department of Airfields. The Head of the Department is Hameliak Ihor Pavlovych, Doctor of Science in Engineering, Professor. Department of Road Construction Materials and Chemistry. The Head of the Department is Mozgovyi Volodymyr Vasyliovych, Doctor of Science in Engineering, Professor, Academician of the Transport Academy of Ukraine. He holds the Excellence in Education of Ukraine badge and the Honorary Certificate of the Verkhovna Rada of Ukraine. Department of Theoretical and Applied Mechanics. The Head of the Department is Loza Ihor Andriyovych, Doctor of Science in Physics and Mathematics, Professor. Department of Strength of Materials and Engineering Science. The Head of the Department is Marchuk Oleksandr Vasyliovych, Doctor of Science in Engineering, Professor. Specialty: 193 Geodesy and Land Use with specialization in Evaluation of Land and Immovable Property. For more detailed information about these specialties and specializations use Web-page University Courses. The Faculty maintains constructive contacts with the Ukravtodor State Agency of Highways of Ukraine, Highways of Ukraine State Incorporated Company, Kyiv region highway authorities, Department for construction and maintenance of urban roads of Kyiv municipal state administration, many road-construction and maintenance organizations, Ukrdiprodor state design institute, DerzgdorNDI I. M. Shulhin state institute ( DerzhdorNDI state enterprise), Kyivsoyuzshliakhproekt design institute, Centre for technological support of roadworks and certification of road products (Dortsentr state enterprise). Apart from academic activities the Faculty organizes various educational activities. Academic group mentors are increasingly engaged in this process. At the beginning of each term they attend guidance and methodological seminars. It has become a great tradition for mentors to report regularly on their performed work. The Faculty provides different forms of leisure-time activities for students. The youngsters actively participate in holding competitions of the jolly and quick-witted. Every year a team of the faculty students take part in the Kyiv Student competition. More than 100 students are members of sport clubs. Many of them are the winners of Kyiv and Ukraine sport Olympiads. Students of the Faculty are involved in research as well. Annually, more than 70-80 students deliver reports on results of their research on the Day of Science. The best reporters become participants in Olympiads for students in the city and in Ukraine. In the period between 2014 and 2016 the Faculty was holding the II-nd Phase of All-Ukrainian Olympiad for students in the specialty: Highways and Airfields. Over the last 5 years, 50 post graduate students have prepared and defended their PhD theses in the specialties of the Faculty. In 2009, O. S. Slavinska defended her Doctor of Science thesis. The Faculty of Transport Construction has achieved great advance in organizing academic and educational activities as well as research. On the whole in the period of 2010-2016, more than 40 manuals and study guides were brought out being increasingly popular among students today. Two specialized research laboratories named after Y. M. Dadenkov, the University First Rector, and Prof. H. K. Siunii have been opened due to the efforts of the departments members and the University top officers. The Faculty is actively involved in international research and educational cooperation within international projects framework. Namely within the project of European Union Technical Support: Interregional Program of European Neighborhood and Partnership Instrument, Tempus 544137-TEMPUS-1-2013-1-SK-TEMPUS-JPHES: Centers of Excellence for Young Researchers (Slovakia, Germany, Czech Republic, Belorussia, Ukraine) – CERES.